The attitudes of the community towards pregnancy, birth and neonatal care in the prehistory (as they do today) could have played a key role in the success of the birthing process. It can even be hypothesized that an increase in human fertility in the Neolithic, despite the difficult and risky birthing process, was a consequence of community concern. The goal of this segment of the project is the construction of a methodological framework for future research on the archaeology of birthing and investigation of cooperative breeding in prehistory. BIRTH has defined several basic research paths that could help us understand the role of culture in demographic success of the prehistoric communities. 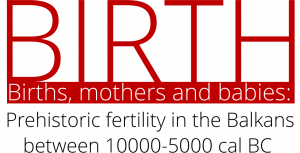 Neonate burials: mortuary practices reflect the concern of the community for babies and birthing process and our study of archaeological context of neonate burials from the Central Balkans will investigate community attitudes toward prehistoric babies. This study will rest on standard archaeological method of analysis and interpretation of funerary practice, with the use of publications and field documentation and analysis of skeletal remains and associated grave goods. 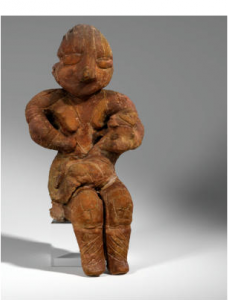 Figurines: although archaeological publications often associate anthropomorphic figurines with fertility, their formal attributes are rarely statistically analyzed in order to test their actual connection with representation of fertility. In order to explore the extent to which the topic of birthing was present in Early Holocene communities, and the extent to which it was influenced by ideological factors, we will conduct an analysis of Neolithic figurines from the territory of Serbia. All metric traits of figurines (dimensions of the belly, breasts, hip circumference) will be entered in a database, and a statistical analysis of formal attributes of figurines, their context of deposition and use will shed more light on their association with fertility or lack thereof.